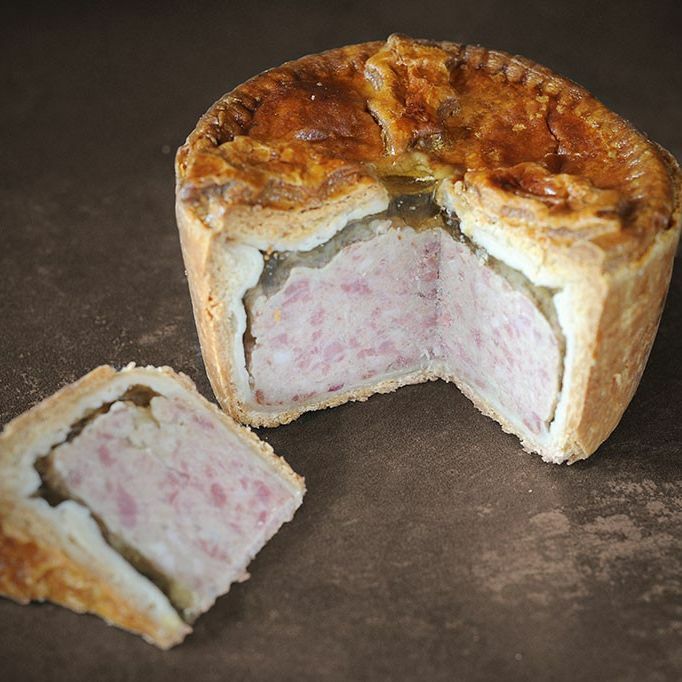 Winner of a Gold Great Taste Award, this is the quintessential Traditional Pork Pie. A delicious combination of rich hot water pastry, prime British Red Tractor pork shoulder meat, delicious jelly and a hint of herbs and spices. 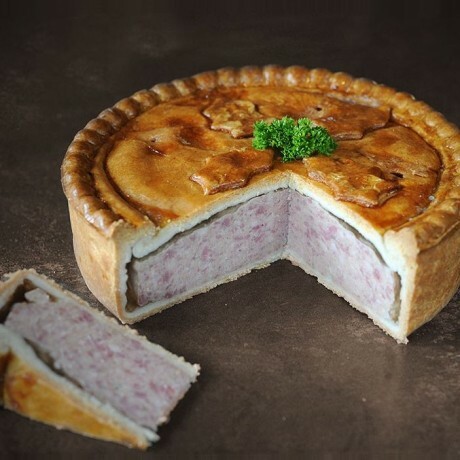 Topping's Pies have won many awards for their pork pies over the years, and lovingly handcraft everything using only the best locally sourced ingredients. Available as a Medium (920g) or Large (2.2kg) cutting pie. This pork pie is sure to get your guests talking at your next event! Shelf Life: 7 days from day of delivery, keep refrigerated. Delivered vacuum sealed - if kept sealed product shelf life is 12 days. Suitable for freezing, freeze on day of delivery. Fortified WHEAT Flour [WHEAT Flour, Calcium Carbonate, Iron, Niacin(B3), Thiamin(B1)], Pork (29%),Water, Lard, Seasoning [Fortified WHEAT Flour (WHEAT Flour, Calcium Carbonate, Iron, Niacin(B3), Thiamin(B1)), Salt, Spices, Potato Starch, Preservatives (Sodium Nitrite, Sodium Nitrate)], Pork Fat, Jelly [Pork Gelatine, Dextrose, Salt, Stabiliser (Carrageenan), Gelling Agent (Potassium Chloride), Yeast Extract, Natural Flavouring], Salt, Glaze [Maltodextrin Potato, Dextrose, Cornflour, Stabiliser (Carboxymethyl Cellulose), Colour (Beta Carotene), BARLEY Malt Extract).